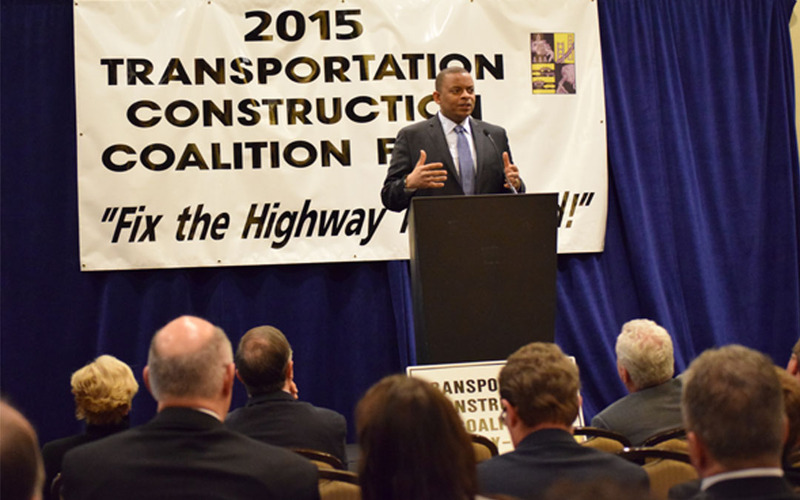 U.S. Secretary of Transportation Anthony Foxx and three key members of the House of Representatives April 14 urged more than 500 ARTBA and Transportation Construction Coalition (TCC) members to press hard for a long-term fix to the Highway Trust Fund. Foxx said the transportation construction industry has to say “hell no to short-term [budget] measures,” which have been used to patch the fund nearly three dozen times since 2009. Last summer’s temporary highway funding fix expires May 31. ARTBA and TCC members are in Washington, D.C., for the 2015 TCC Fly-In to lobby members of Congress for a long-term solution that gives the industry and state transportation departments the certainty the need to implement long-term plans and significant projects that create jobs and enhance commerce. ARTBA has called for a 15-cents-per-gallon increase with a 100 percent offsetting federal tax rebate for middle and lower income Americans. The plan would generate $401 billion for highway, bridge and transit improvements over six years. He said he believes there is bipartisan support for a long-term solution, but he also recognized that some members of Congress don’t want that to happen. “You have to make ‘yes’ more appropriate than ‘no,’” Foxx said. House Transportation & Infrastructure Committee Chairman Bill Shuster, (R-Pennsylvania), also voiced some optimism. “I believe we will do a long-term bill. 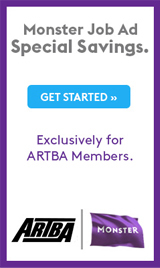 I am confident we are going to get there,” he said. Shuster said his view is based on recent conversations with House Speaker John Boehner (R-Ohio), House Ways & Means Committee Chairman Paul Ryan (R-Wisconsin) and Sen. James Inhofe (R-Oklahoma), chairman of the Environment and Public Works Committee. All three have key roles in getting a surface transportation bill to President Obama. Shuster also said he hasn’t met any governors or state highway department officials who favor devolution of road and bridge responsibility from the federal government to the states. Such a move, touted by some conservative politicians and groups, could force states to hike gas taxes by up to 25 cents. It also would fray the national transportation system critical to defense and commerce. Shuster said he wants a transportation bill “that leads with solutions, not money.” He singled out the need to expand national freight corridors. Rep. Earl Blumenauer (D-Oregon) said “the stars are slowly aligning” for a long-term transportation bill. He cited the recent bipartisan effort to solve the long-standing problem of how Medicare pays physicians, the “doc fix,” as a reason for his optimism. He also noted that 21 states have raised gas taxes, including eight this year. “Don’t let them tell you this can’t be done,” Blumenauer said. He said the transportation construction industry must emphatically call to “raise the flipping gas tax.” For now, Blumenauer wants to increase the gas tax by 15 cents over three years, than index it for inflation. Rep. Reid Ribble (R-Wisconsin), who earlier this year championed a letter to the House leadership calling for a long-term fix for the transit fund, told ARTBA and TCC members, “there’s a lot of momentum if you can help us get it through.” He supports indexing the gas tax to inflation would provide enough money for about 19 months of highway spending while Congress works on a long term solution. Ribble told attendees how, through diligence and education, he has shifted significant opposition to a gas tax increase among his Wisconsin constituents to overwhelming support. He urged the Fly-In delegates to remind their representatives and senators that short-term deficit spending patches is really a tax on future generations. “We ought to pay for stuff we buy and not encumber our kids,” he said.